These ships are currently almost never flown in smaller gangs. Brawling battlecruisers are still seen as solo ships but even in that field they are very rare. In general they feel less effective than cruisers because the PvP-metagame is currently focused on fast stuff and battlecruisers will often be kited to death with ease. Their slow warp speed of 2.5 au/s is not helping them either. 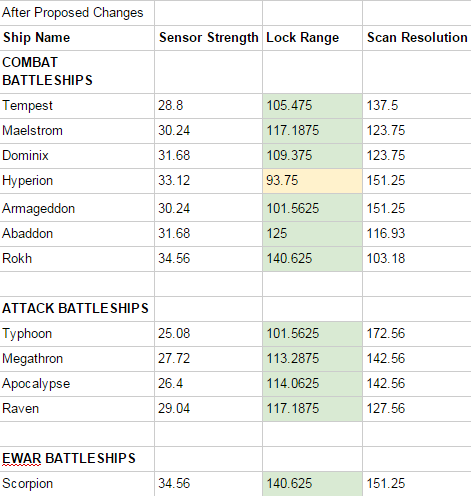 The attack battlecruisers are in a bit of a better spot at the moment but combat BCs are nowhere as good as they would need to be in order to be a relevant ship class. It also feels like certain battlecruisers had to pay for their sins and were more or less removed from the game… looking at you Drake and Hurricane. Anyway, kind of like AFs, this entire ship class is not really used anymore because there just simply are better choices. I think they need a heavy rework. I have seen a lot of ideas pushed around, from giving them a destroyer-like role bonus (think along the lines of a 50% tracking bonus) to making their MWD scriptable into an MJD. Personally I would like another bonus like the destroyers and perhaps it’s time to scrap that stupid link bonus that’s almost never used. Another thing I have pushed hard for on the CSM is to normalize the warp speeds. Here is a table over t1 ship warp speeds at the moment: Giving the BCs a small bonus of 0.2 au/s would make the percentage the warp speed decreases more consistent across ship classes. While many people may think the extra 0.2 au/s warp speed is insignificant because it doesn’t give them more EFT DPS, I would disagree. Sometimes a minor change like that can make all the difference. I don’t even know how many times a single second was the difference between me dying and living in a ship. In summary, there is a big problem at the moment with battlecruisers being outclassed as a combat platform by many cruiser hulls and not really being a factor in the PvP-metagame. Giving them a good role bonus, warp speed and some more speed on grid could change this. Unlike battlecruisers I actually like battleships a lot for small gangs. They are a large platform so they can bring a lot of utility like heavy neuts, smartbombs or micro jump drives. The large guns also have great projection compared to medium guns. It’s a curious fact that the battleships used for small gang PvP are generally faster than battlecruisers, a smaller ship class. They are strong enough to sacrifice a rig slot or two for hyperspatial velocity rigs to get a semi-competitive warp speed. With that said, the class is not without problems. I feel like there is a problem with lock speeds and sensor stats in general on the battleships. I don’t like the fact that sensor boosters are almost necessary in today’s age of super fast ships and links making Interceptors able to burn away 100km and tackle you before you can lock them. 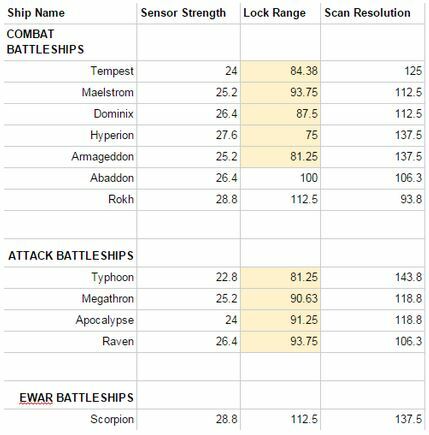 Attack battleships get 10% more sensor strength and 20% more scan resolution. The resulting stats would look like this. Currently this is one of the most useful rigs for roaming battleship groups and it is fitted regularly, at least amongst the people I know. It’s almost a necessity on battleships if they wish to keep up with the support cruisers. The problem here is that fitting it comes with a high penalty of -10% to -5% CPU, depending on your skills. You also give up rig slots which are particularly important on battlecruisers that need the extra power and can’t trade it for more warp speed. You are basically giving up an extra 15% shield or armor HP from a potential defensive rig and you lose fitting capacity at the same time. I think it’s a really good idea from CCP to change the CPU penalty to a signature penalty. Like with battlecruisers I would also suggest a small boost in warp speed for battleships up to 2.2 au/s which would allow them to hit the magical 3 au/s with two Hyperspatial rigs. I really feel that the upcoming changes will help some ships a lot. It’s good to see that CCP are actually listening to us in the CSM and that the community has a say in the balance of some things. 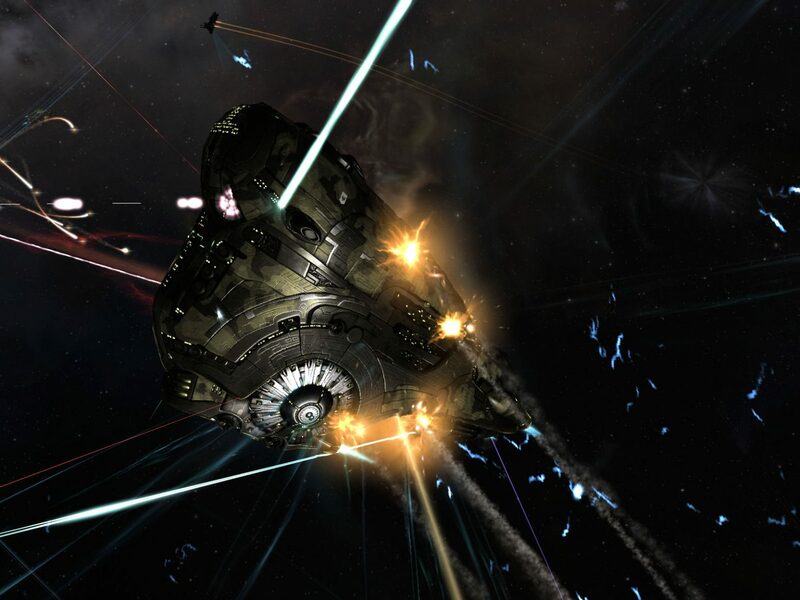 CCP are currently taking small steps with some changes and while I personally think that battlecruisers in general need a rework, they might not want to take such drastic measures. The changes to hyperspatials are fantastic though, because they will allow more flexibility for battleships and battlecruisers who almost always choose at least one of these rigs if they are planning on doing longer roams. While CCP haven’t said anything about upcoming targeting stat buffs for battleships, they might consider them in the future.